The idea of using a garden office design as a classroom in schools is really starting to take off. 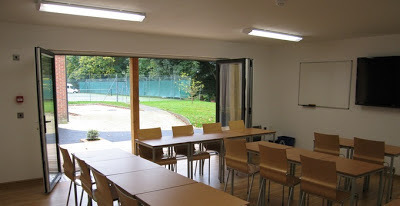 Here's one which is actually six classrooms from The Stable Company designed and built for a small independent Catholic day and boarding school for girls in Kingston-upon-Thames that wanted a building that would sympathetically fit in with its surroundings on a leafy part of the site. Where are George Clarke's Amazing Spaces? We've posted about this show quite a lot already but I know some of you are interested in finding out more about the builds and those taking part so we'll be pointing the way over the coming weeks. So, to kick things off is the Majestic Bus, pictured top. 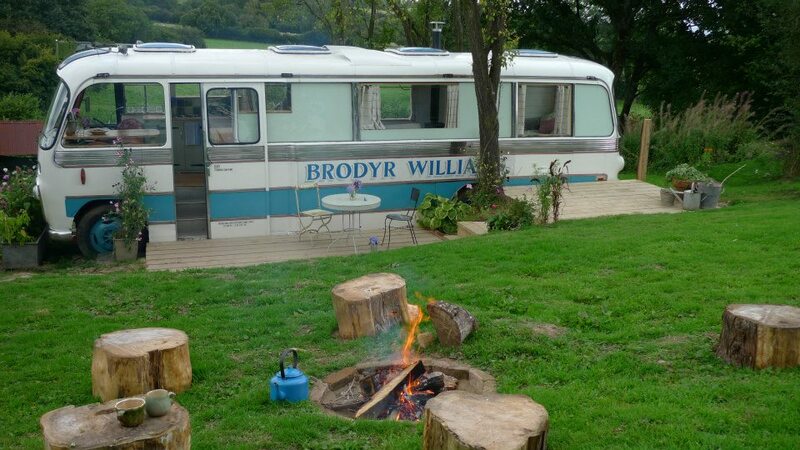 It's a "lovingly converted Panoramic Bus tucked into a garden riotous with flowers near Hay-on-Wye, and enjoying sweeping panoramic views over the Herefordshire countryside". It sleeps four in the bus and there's space for another four camping outside. 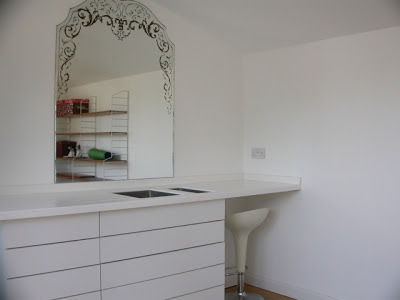 Looking ahead a bit to episode 3, Bamboo Ape are based in Bournemouth on the south Dorset coast and provid "bespoke design solutions and unique high quality builds that turn your small spaces into big places". Here's one of their latest projects (and indeed the one featured in the programme), transforming a 1.7m square Bournemouth beach hut into a space to cook, eat, much about and sleep. And happily it also includes an office area so it's genuinely shedworkingesque. 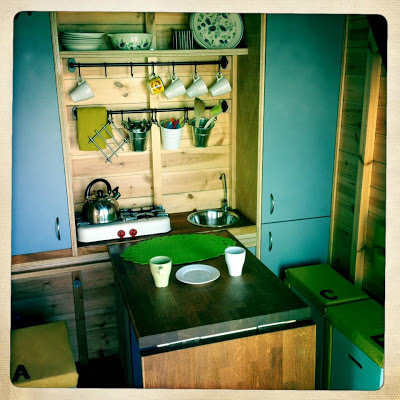 There's an growing buzz in the UK about the importance of small builds, helped recently by some high profile television series (and if you're in the USA, Tiny House Blog has details of a very interesting conference next Monday about the advantages of 'living small'). 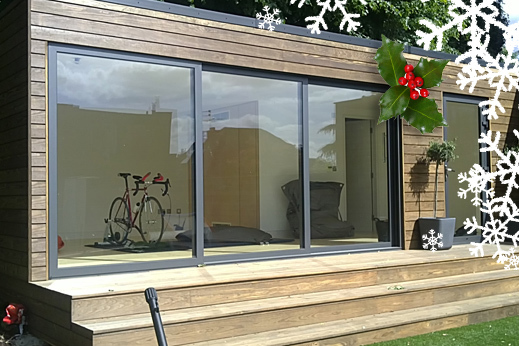 But now one housebuilder has coined the intriguing phrase 'Generation Annexe' to describe the growing importance of shedlike buildings in the property market. Jonathan Cranley, Sales and Marketing Director at Millgate, points to a recent poll from insurers Aviva that suggests almost 36 million people in the UK have experienced living as adults in the same home as another generation of their family. "Almost 20 per cent of intergenerational living is due to families welcoming the older generation into their homes," says Louise Colley, Head of Protection Sales and Marketing at Aviva. "With a rapidly ageing population, this is likely to become more common in the future and families may need to take this into consideration when purchasing and renovating their properties." Cranley argues that with the future needs of our parents, children and grandchildren in mind, properties with annexes could be the solution. "Properties with annexes within the grounds of a home, despite their growing popularity, are not easy to come by," he says. 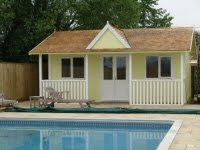 "In family friendly Buckinghamshire, for example, Zoopla data reveals that less than three per cent of properties afford annexe accommodation. 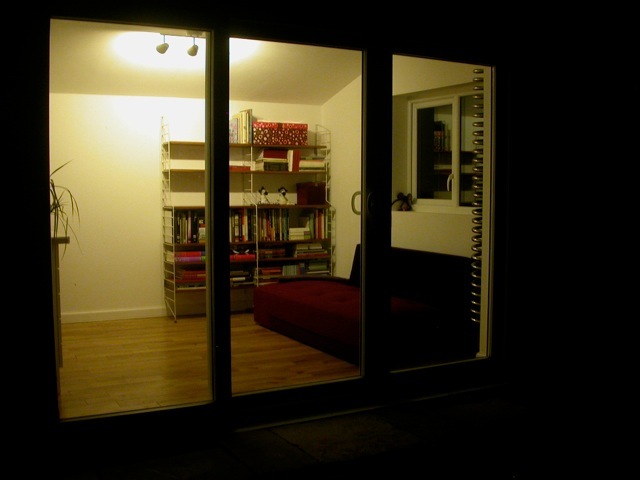 "Millgate homes frequently feature annexes for a variety of reasons, such as office space. Paying a rent to run a small business is a very unnecessary overhead for many so what better than to have your office at home yet tucked away from family life? Somewhere you can shut the door and walk away from at night. 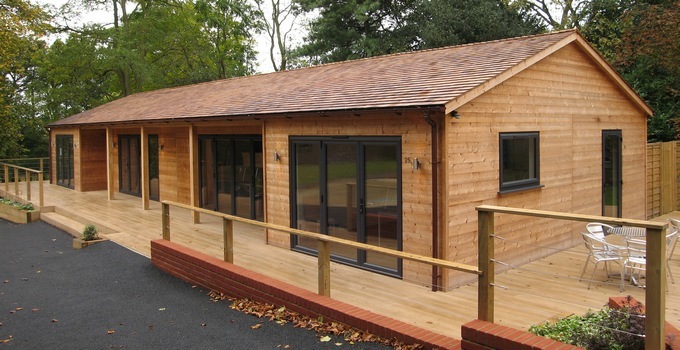 The 45 sqm of annexe space at our Hambledon House in Bourne End is plenty big enough to accommodate you and a business partner." Of course he would say that as he's marketing a property (quite an expensive five bedroom one - this is a detached annexe with its own entrance, kitchen, bedroom and bathroom he's discussing), but its interesting to see that the advantages of a separate small building in the back garden are now starting to be pushed by major property companies. 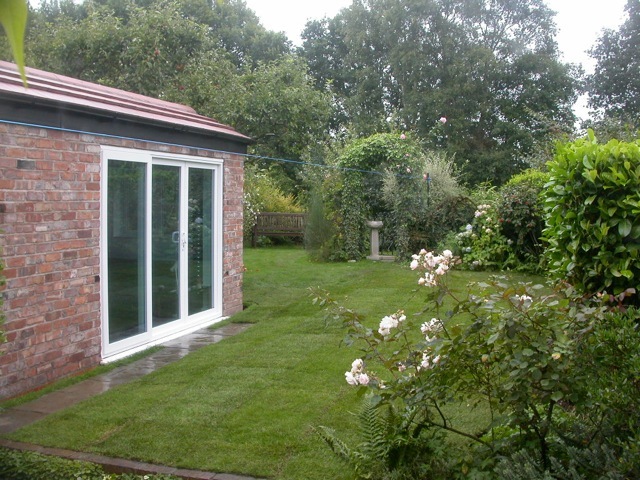 Photo courtesy InsideOut who specialise in annexes as well as garden offices. 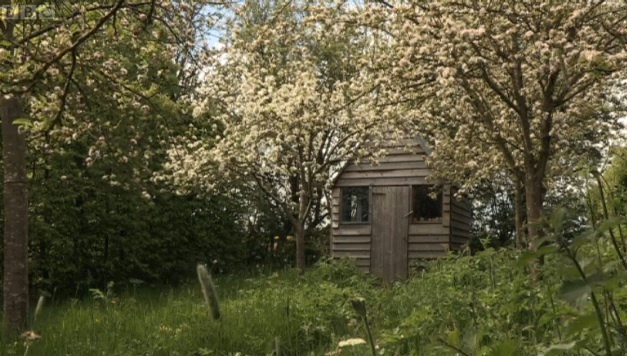 This is the garden studio my wife and I built (with help) last year, writes Christian Cowburn. 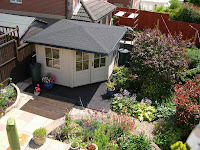 I had been inspired by your Shedworking blog and thought this might be of interest to your followers. We live in a very standard brick built semi-detached house with two children and a dog. 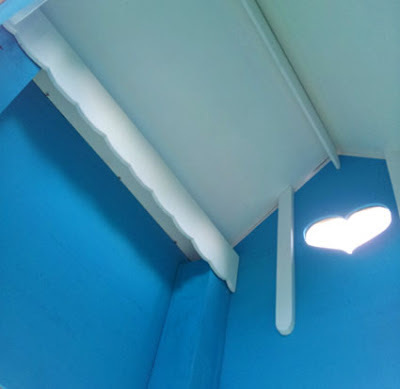 I buy and sell design pieces, and in her spare time my wife creates felt pieces and writes stories for children - the idea was that she could have a lovely space with water and all her materials at hand to be able to create whenever she wanted. I also needed room for a lot of my reference books/auction catalogues and somewhere peaceful to study/research. 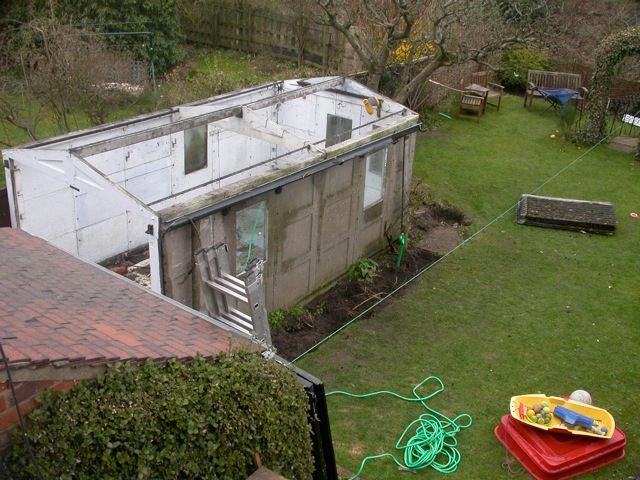 The studio sits where the old prefab garage was but has proper foundations, mains water and electrics, is fully insulated and heated. 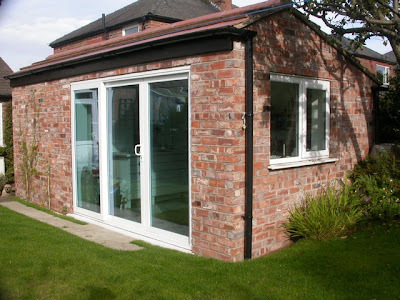 The front third of the building is accessed by the original garage doors and houses the bikes, tools, lawnmower etc. I used a saltbox-shaped roof stop it being too boxy - as well as adding nice angles inside and out it also keeps the overall height down - and old bricks to be sympathetic to the house. A lot of the materials were sourced from ebay including the bricks, the windows and virtually all the internal fittings including the floor and we re-used any materials we could from the old garage. 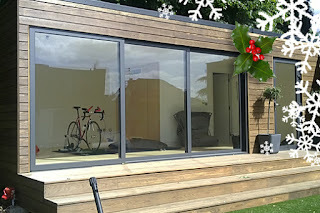 It has proved very successful, it has enabled my wife to create more in the last year than ever before and is just a lovely space enjoyed by the whole family and built with a modest budget. 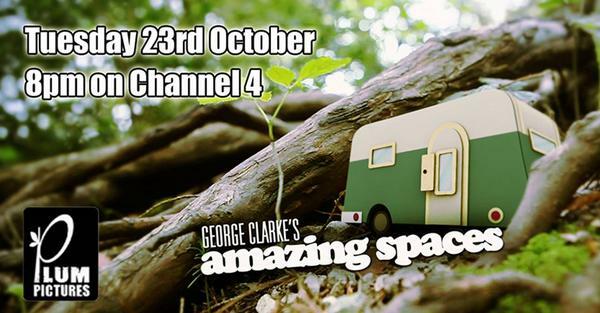 George Clarke's Amazing Spaces sees him travel around the country looking at amazing micro builds and the inspired people undertaking them. 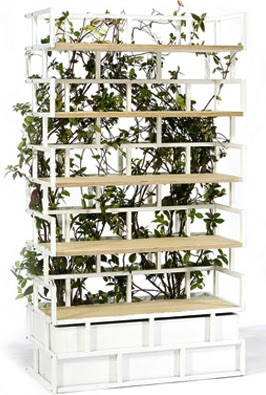 With people looking to maximise every inch of space in their homes or gardens, George discovers that size is no object in the world of micro design. He meets the people creating spaces in the unlikeliest of places: from disused toilets to shipping containers, horse boxes to state of the art airstreams. And George is no passive bystander. 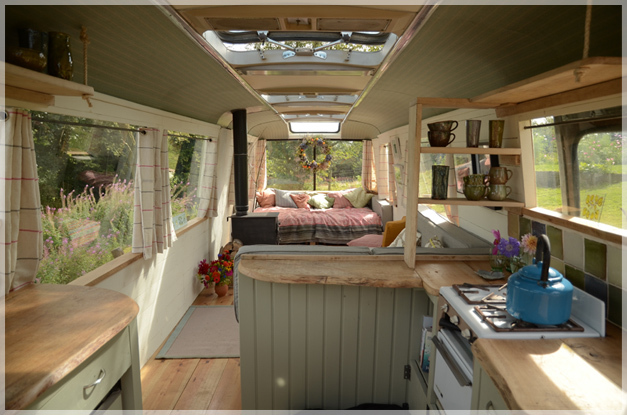 For just £300 he buys himself a knackered old 1970's caravan, but in just three months he hopes to transform it into the most extraordinary small space you've ever seen. Each episode is clearly themed according to the challenge facing George and his own micro build. From planning laws to maximising space, every programme is packed with jeopardy, ingenuity and wonderfully eccentric characters. The small space revolution is well under way. Long Meadow has been created on a limited budget by Monty and Sarah, and maintained for the past four years with no outside help. 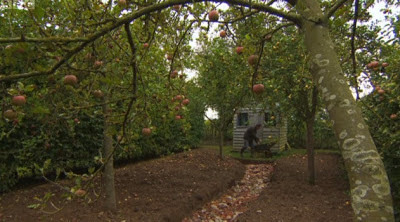 It is their dream garden, and we viewers will be able to see it all: from the walled garden at the front where the family eat outside, to the orchard, where Monty’s son built a special writing hut for him while he was ill, and all the intriguing spaces between. The Spring Garden, Dry Garden, Vegetable Garden, Lime Walk, the Jewel Garden (using jewel or metallic colours for high impact), greenhouse and potting shed, nursery area, Cricket Lawn, Hazel Copse and the Damp Garden – all connected, it seems, in a well-ordered and cohesive fashion. You can see the episode again on the BBC's iPlayer thingy here - the hut is featured mostly towards the start of the programme. "A Lowestoft burglar who stole property worth more than £7,000 during a spate of house burglaries in north Suffolk during the summer has been jailed for 30 months... Robert Sadd, prosecuting, said the owner of the house that was broken into in Benhall in August had been working in an office in the garden when he saw Walton and another man break a window and enter his home." I've recently built an extension on my kitchen and a home office at the bottom of the garden. 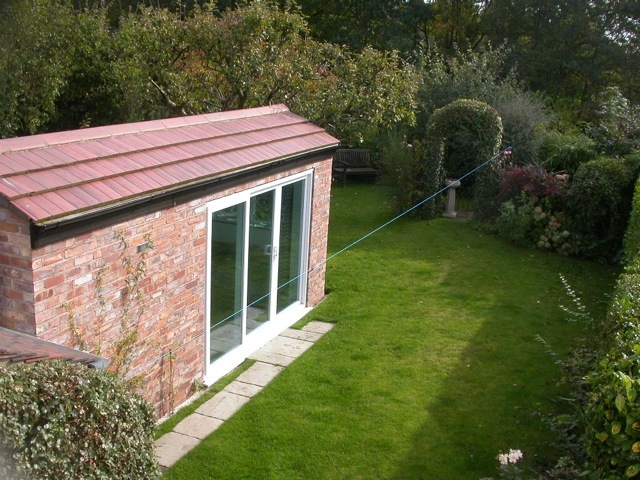 My Wi-Fi signal doesn't reach the garden office, even with a wireless extender. I tried using HomePlug, but it seems that the office is on a different mains circuit to my router. Can you help me get an internet connection to my office with the minimum expense? I don't want to have to dig up the garden to run cables. 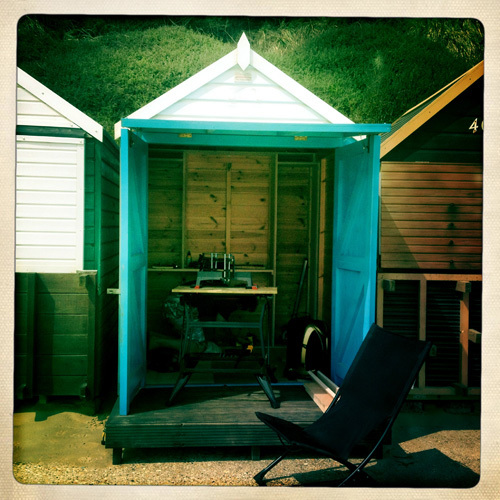 "Ever since my dad began building a 1950s inspired train station waiting room in his back garden complete with train tracks, I've been interested in working on a comparison between the age old notion of the philosopher/artist in their hut, and the ideas that came from living or working in such circumstances. "Philosophers and huts seem to go hand in hand. The scene of a thinker residing in a secluded wooden cabin in the forest has been one that has given rise to some of the most seminal ideas of western philosophy. 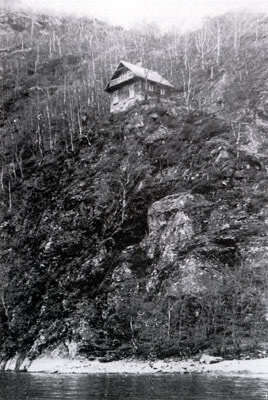 Influential German philosopher Heidegger thrived in his hut, which he called ‘die hütte’, in the Black Forest, while existentialist wanderer Wittgenstein sought shelter in his cabin on top of a Norwegian Fjord [pictured above]. Ideas appear to flourish within such a sheltered and secluded environment, a place where thinking can be safe both physically and emotionally from outside elements. 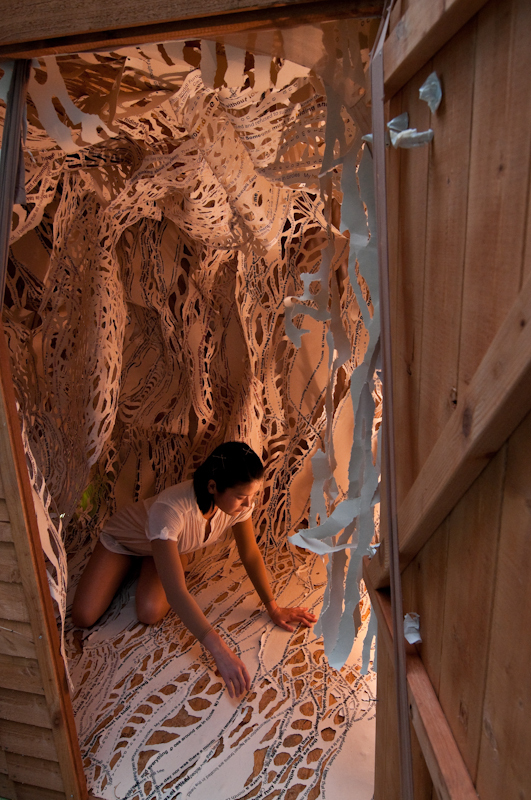 "It would appear that the desire to build such shelters has been intrinsic not only to human survival, but also to thought, and creative practice. With the aid of shelter we are capable of functioning correctly as human beings, and our shelters provide us with an intense relationship between space, person and thought. "This body of work will provide a documentary style set of images exploring this relationship, giving a tongue in cheek comparison between the modern eccentric shed builder and the traditional notion of the philosopher’s hut. 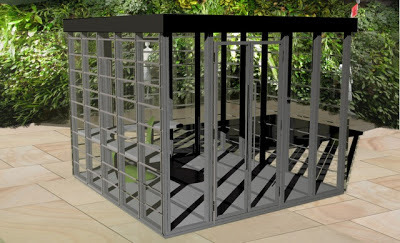 After witnessing my own father obsessively building a faux-vintage train station hut, I want to explore other such personal structures and the underlying desire to build them. This initial interest has uncovered a community of creative and competitive shed builders who have devoted their spare time to building structures which not only offer them a utopian escape from the stresses of everyday living, but exist as a creative outlet in both their physical form and the contemplation space they provide. "I am aiming to shoot up to 25 photographs in this series, and they will exist in the form of approximately 5”x5” colour prints in 10”x10” frames, to be displayed in a linear form in a long gallery space - but the series can be edited down to fewer prints in order to suit smaller spaces, without detriment to the work or concept. 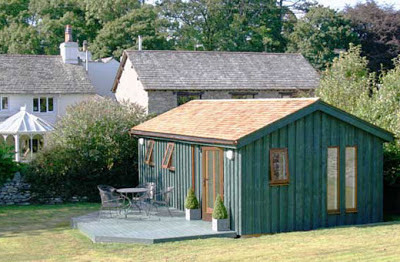 For a repetitive and continuous edge, the images will be shot using the same composition and lighting techniques – the only variable in each image being the shed builder standing in the forefront of the photograph, with their structure behind them. The overall concept of the work aims to provide a light-hearted and colourful discourse on the manifestation of an age-old notion within a contemporary counter-culture practice." 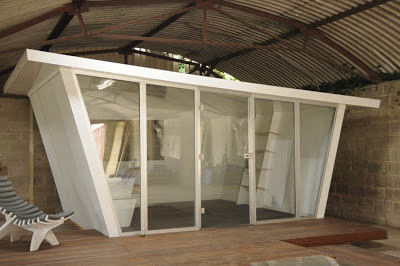 There has been increased media interest recently focusing on the attractions and advantages of microarchitecture. 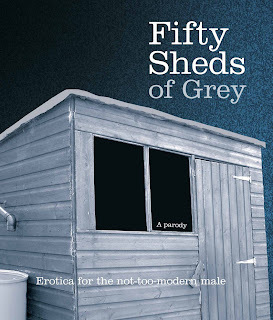 Fifty Sheds of Grey, inspired by the eponymous Twitter account, is the latest to explore the beauty of small builds. 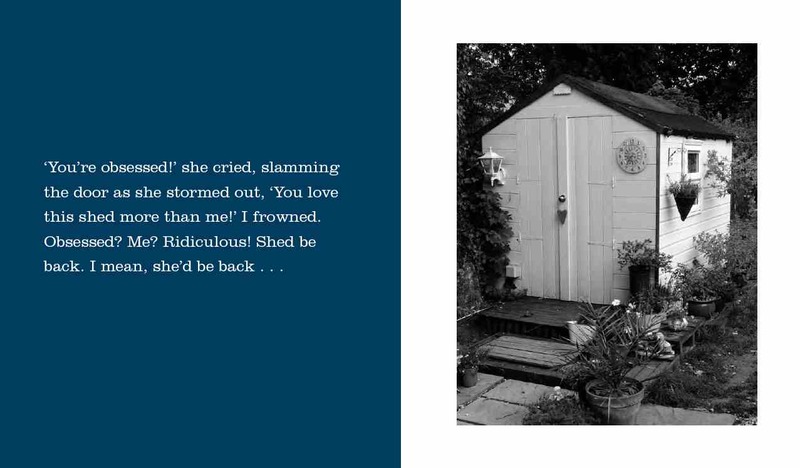 The black and white photography is certainly of a high standard throughout, featuring many atmospheric images of small timber buildings, mostly in domestic back garden situations, but also including beach huts and interiors of workshops. But readers looking for indepth plans for building sheds, solid advice on insulation, or a thorough examination of the garden office market will search in vain as they wade through many pages of extraneous material. 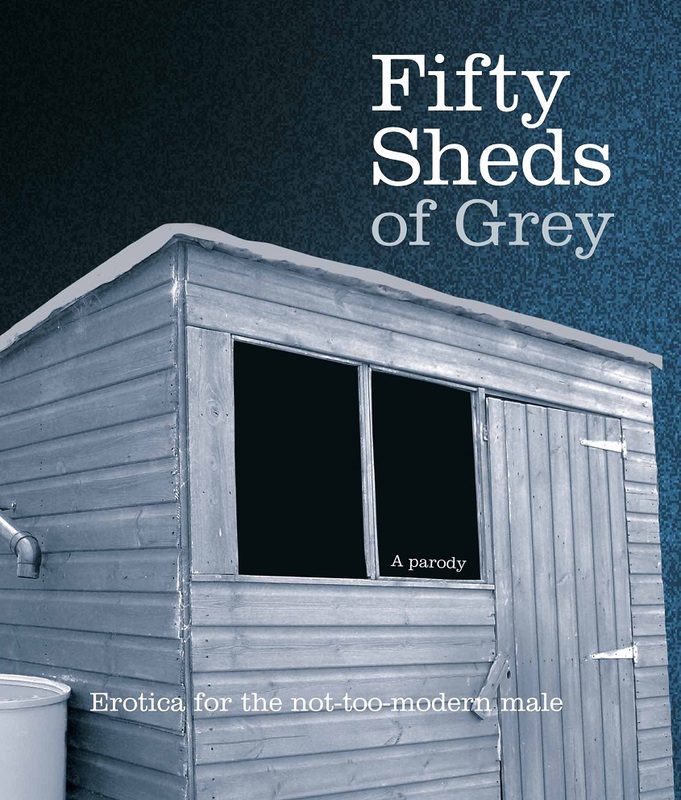 For those looking for advice on practical shedbuilding, the Shedworking staff would instead recommend The Complete Shedbuilder by JR Hartley, published by Macguffin. 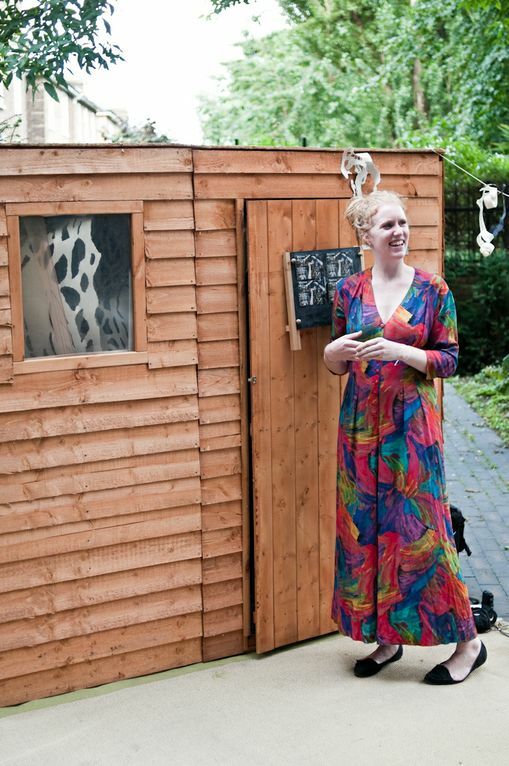 Melissa Hardwick, Arts Manager and Curator at Free Space Gallery, has been running a project out of a garden shed for the last few months which she has taken on tour to local festivals as a mini cinema, used for small exhibitions and now as an interactive installation and dance performance space. 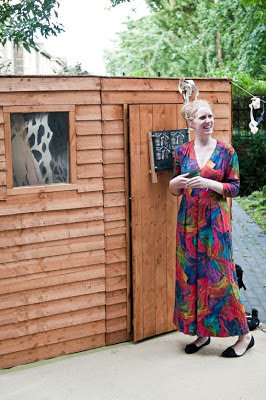 Next Thursday, October 25 6-9pm, they will be hosting the last in a series of evening performances inside the shed at Kentish Town Health Centre, 2 Bartholomew Road London. Click www.freespacegallery.org for more details. 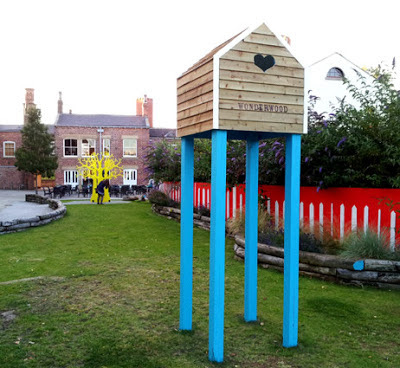 "When the Free Space Gallery first put together its shed in its gardens the idea was to occassionally use it for arts projects but that its primary use would be that of a humble structure in nature," says Mel. 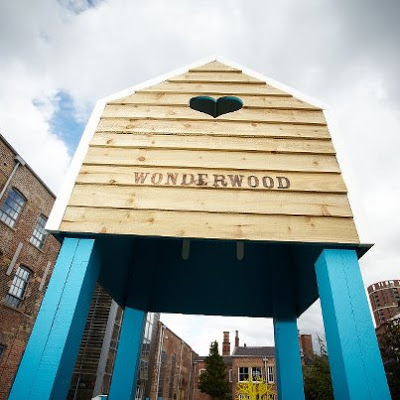 "However, since its construction it has proven itself a worthy venue for many a creative outpouring, hosting a mini exhibition, a number of small scale film screenings and an artist in residence. For the last few months the shed has played host to a paper and print installation and a dancer as part of the multidisciplinary installation Fragments by Jairo Zaldua, Nicola Green and Katsura Isobe." Former Inspiral Carpets lead singer Tom Hingley performs here at a special Songs From The Shed temporary shed, backstage at Larmer Tree festival. 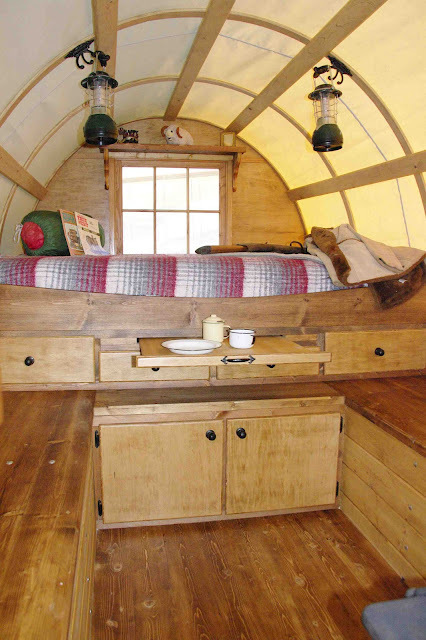 Kathy Vader from Idaho Sheep Camp has been in touch to say that they have just completed a new traditional style sheep wagon and now have a couple for sale. They come with rubber wheel running gear, hydraulic brakes and a nice day bed area. Horses not included. 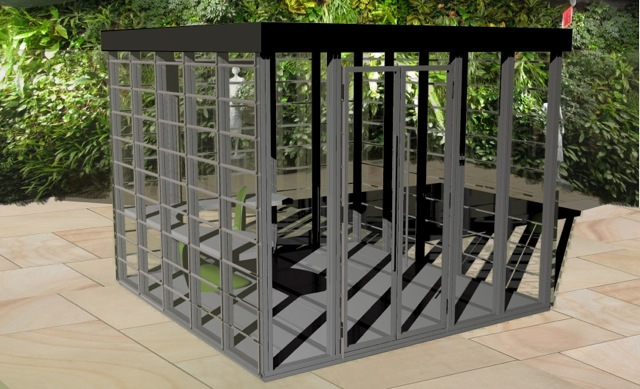 Kent-based Mod105 (the website is undergoing a bit of a revamp at the moment so do check back) has some intriguing garden office designs, in particular their 'modular system', pictured below, which they say requires no external fixing, is strong and robust, and uses aluminium framing, phenol coated plywood timber and acrylic for quick assembly and long life.